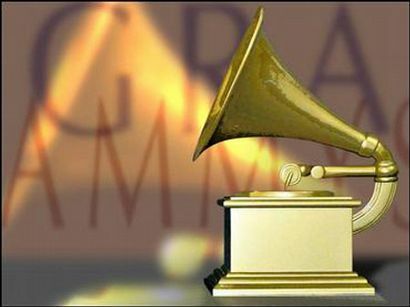 The GRAMMY Awards are slated for February 13th, 2010, and one site, MusicIsLifeIsMusic is very excited. The website has just released a new, free app, called MusicMapper, which allows fans worldwide to blend their love of music with the ongoing geolocation craze. The mobile app let users tag a location, attach a song and share a story. Forget the GRAMMY hype, this app is pretty cool, as long as enough users around you sign up too. In New York City, it creates a fun musical map ripe for digital voyeurism. Sign up, create an account, choose a “tag color” and add a social network or two, either Facebook or Twitter. The app’s map can be a bit tricky to navigate in a densely populated area because the album decorated tags are so close together (see image right, below). You can also browse songs in list form or use the app’s savvy augmented reality feature to see tags pop up around you. The tag will pop up displaying the name of the song, artist, and album cover powered by the popular music service Rd.io. You can choose to listen to the song on Rdio, purchase it on iTunes, or share the song on Facebook and Twitter. You can also read the person’s story. The app catalogs all of your tags into “Your Journey.” Create a tag by entering the name of the song or the artist. On my first try I entered “Let it Be” and it didn’t come up with what I wanted until I also entered “Paul,” then it finally displayed “Paul McCartney, Let it Be Live @ Citi Field.” So the search is good, not great. Enter a note, then share it to the app’s map, Facebook and Twitter. The auto-Tweet option was a bit corporate and spammy, so I suggest editing it before sending it out into the Twitterverse. Bottom Line: The coolest part of the app is just using it to explore small, personal, mapped out stories shared by other music lovers and share your story in the same way. Download it for free for the iPhone and Android.